Do you go out for tea often? When you do, do you tend to always pick the same tea on the menu or do you venture into the unknown? Well, this spring we went on a short holiday and took a break from our daily routines, even our tea drinking ones and came away with some tips that we’d like to share with you. When in Rome, drink tea! Early this month we spent four wonderful days in Rome. Little did we know that we would have a chance to enjoy a great cup of tea and have a wonderful time as well. After visiting the Vatican museums we made our way through the streets of Rome all the way to the famous Spanish Steps. It is not that far, but after having spent so many hours walking around in the museums we were exhausted. To our surprise, at the foot of the Spanish Steps we saw Babingtons Tea Room. As tired as we were, the idea of sitting down to a cup of tea was too tempting to resist. If you are ever in Rome, we urge you to visit this tea room and indulge in a cup of tea there. On entering the tea room, there is a small shop area where loose leaf tea tins or boxes of tea bags are ready for you to purchase. Beyond that is the cozy tea room. Babingtons has their own branded blends of teas, infusions, iced teas, and pure teas. As each of the their teas had a sampler tin, we started smelling each tea trying to guess the ingredients in each blend before looking them up in the respective tin. We soon hit upon a blend called Rainbow tea that seem so inviting that we decided that we would try it and if it tasted as well as it smelled we would purchase a tin to take home with us. The tea room itself is very nice and after the bustle of busy streets and the crowds of tourist groups, it was nice to sit in a quiet cool place with no lines and not much noise. Established in 1893, the mood in the tea room is set by the beautiful 19th century illustrations on the walls and the lighting fixtures that give it a cozy ambiance. Imagine sitting on their cushioned chairs listening to Frank Sinatra playing in the background. The staff speaks English very well, so even if you are not fluent in Italian you will find the staff very nice, welcoming and easy to communicate with. 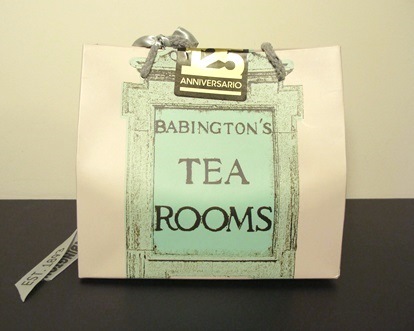 Find out more about Babingtons Tea Room on their Facebook page. 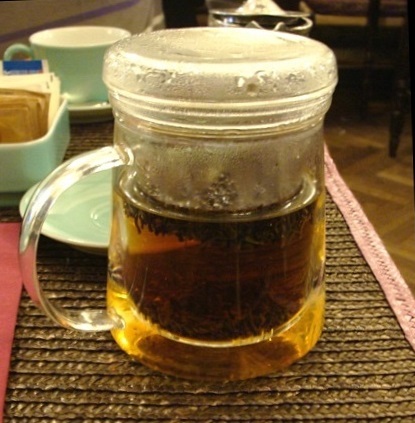 Babingtons Tea Room in Rome offers a wide selection of teas, coffee and other beverages. You can eat sweet or savory dishes, from salads and sandwiches to cakes and other desserts. They even offer you the possibility of enjoying a typical afternoon tea with a glass of champagne. Upon looking over the menu, one thing was clear, there was a lot on offer, but the prices were also a bit steep. We had already expected this, but decided to treat ourselves to something special. Just to give you an idea, each tea is priced at over 10EUR (about 12USD in May 2018) and that is for an individual teapot, corresponding to more or less 3 small cups. However, we quickly became aware of a small problem. The tea we were looking to purchase was not listed, so we decided to talk to the waitress and explain the situation. After confirmation, they were more than willing to serve us the tea. As their teapots are small and aimed at serving just one, the waitress asked if we would like to choose a different tea for comparison instead of two of the same. Sure, but which one? I had not made a backup plan. I usually know what I want, but for once, I decided to ask for a suggestion. The waitress recommended the 125 Anniversary Black Tea blend. We would probably have chosen a green or oolong tea instead, but we decided to go with the suggestion. Now what to eat? Sure, the scones seemed tempting, but we had spent April refining our scone recipe. There were pancakes and cheesecake, so it was hard to pick just one thing. So again, we did something different and chose the sample of six small pastries. 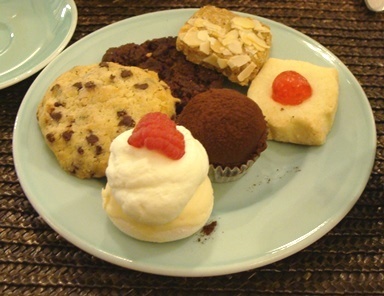 The sample included a shortbread biscuit, an almond biscuit, a plain cookie with chocolate chips, a chocolate cookie, a merengue with cream and a chocolate truffle. Service was quick and soon the small glass teapots were brought to our table, each accompanied with its infuser with the loose leaf teas. No tea bags here, which was great. The waitress put the infusers in each teapot instructing us on how many minutes to leave the infusers in. Following the recommended infusion times, resulted in two perfectly brewed pots of tea. Note: Have you noticed that we are rarely given this information in tea or coffee rooms? Or when the tea is already brought in the teapot, how long has it been brewing already? Besides the teapots we were also brought a tiny jug of milk and additional hot water, which we used to reinfuse the tea as we loving the flavors. The small pastries went great with both teas and were perfect to share. Just as we had expected the Rainbow tea was fruity and delicious, but what we didn’t expect was to really love the 125 Anniversary blend that had been suggested to us. There was no doubt, the blend of black Ceylon and Chinese teas, with vanilla, elderflower, rose petals and blueberries among other ingredients was simply amazing! It required nor sugar nor milk. It was just perfect the way it was. So even though we had our sights on the Rainbow tea we ended up bringing the 125 Anniversary tea home with us. We thanked the waitress for her recommendation. She was genuinely happy for us, as we caught a glimpse of pride in her smile. 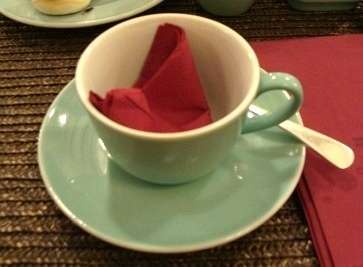 This tea experience in Rome was great and made us rethink our approach when we go out for tea. Don’t be afraid to ask for a tea that is not on the menu. What’s the worst that could happen? Have a second choice handy just in case, but you may be happily surprised. Once in a while, ask for a suggestion from the staff. They have more experience with the teas they offer and can find something that suits your taste. We all tend to stick to our well-known favorites, but be willing to experiment. If you are not really that hungry, pair your tea with small pastries. 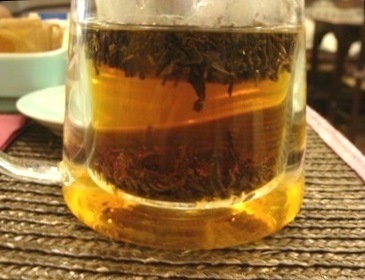 These small bites may be a way of enjoying more flavors and because they are not that filling, they do not take away from the tea tasting experience. 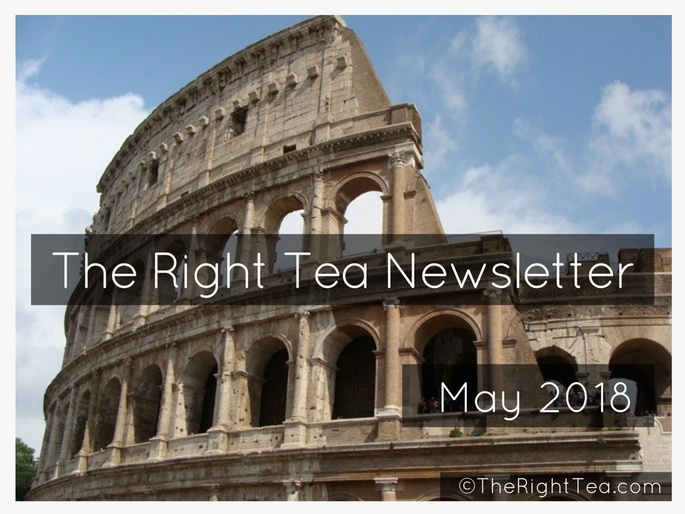 More information about tea is coming, so keep on the lookout for the June issue of our newsletter. While you wait, look around our website and learn more about tea and its health benefits.